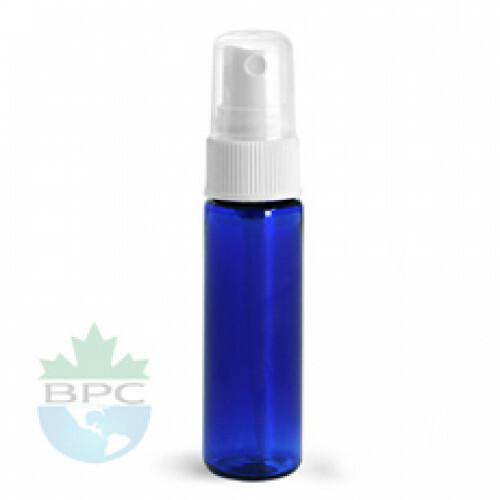 Each 1 oz (30 ml) Neck 20-410 Blue PET Plastic Bottle comes with white 20-410 atomizer top. These Blue bottles will make any product look sharp and would be a fine addition to any line. These Blue bottles with white fine mist sprayer can be used for perfumes, aroma mist, aromatherapy and any of your own spray-able natural or synthetic blends. These Blue bottles with white fine mist sprayer can be used for perfumes, aroma mist, aromatherapy and any of your own spray-able natural or synthetic blends.